Finally! 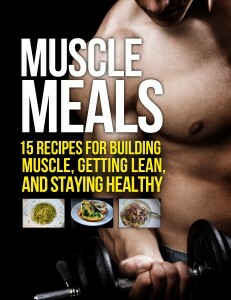 Escape the Horrors of “Dieting” and Build Muscle or Lose Fat by Eating Tasty, Nutritious Food! If you want to know how to build muscle and burn fat by eating healthy, delicious meals that are easy to cook and easy on your wallet, then you want to read this special report. In it, you’ll learn how to escape the dreadful experience of “dieting” and how to cook nutritious, delicious meals that make burning fat or building muscle easy and enjoyable! Click on the button below to get instant access to this special report for FREE! All you have to do send a little ol’ tweet about it!